Carom water is used in various medicinal purposes. Carom water is an effective herbal medicine which is beneficial in diseases and disorders. It is very beneficial in gas, constipation, abdominal pain, indigestion or diarrhea. It can be used by both elders and children. It has no side effects. Take one teaspoon of carom seed and boil it in one glass of water until it remains half. The water color is blue. Filter this water in glass and when it became cold then drink it. 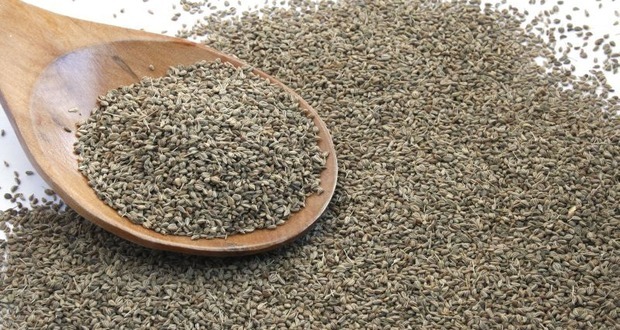 Toothache: Carom seeds are useful to get rid from toothache and healthy mouth. If you have toothache then you can rinse your mouth with thyme water. It immediately gives relief you. Indigestion: Drink thyme water during indigestion. Drinking this water increases the digestive process because it produces digestive enzymes. It is also beneficial in abdominal gas or flatulence. Reduced Obesity: Thyme water helps in speeding up your metabolism. It faster burns the carbs and fat thereby obesity reduces quickly. Cold and Stiffness: Whenever you’re boiling thyme water then inhaled its hot steam for a while. This will remove accumulated mucus and get rid of stiffness. Diarrhea: Thyme water is useful to cure diarrhea and dysentery. Nausea: Thyme is also useful in nausea. In many cases, it stops constant vomiting. It happens due to thyme has antibacterial element which remove bacteria’s infection. Intestinal Worms: Stomach worms die by drinking thyme water with empty stomach in the morning. Controls Menstrual: Women can control excessive bleeding by drinking thyme water. It also removes abdominal pain and cramping. Itching and Eczema: If your skin is itchy and it has spots or you have eczema then you can apply thyme water on it. This water is antimicrobial and anti-inflammatory. It controls the infection and you won’t have itch.